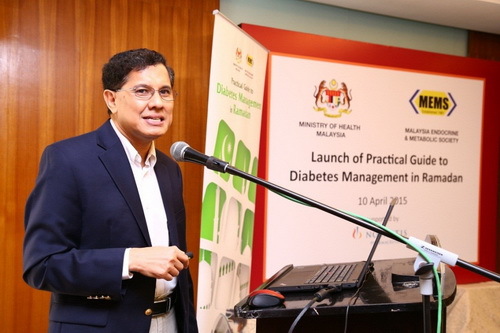 By Ainul Huda Mohamed Saaid KUALA LUMPUR, June 16 (Bernama) -- With Ramadan just around the corner, many Muslims are preparing themselves physically and mentally in anticipation of it. Fasting in Ramadan is one of the five pillars and Islam and is therefore mandatory upon all able-bodied Muslims upon reaching puberty. KUALA LUMPUR, June 15 (Bernama) -- Pizza Hut Malaysia expects its 2015 Ramadhan promotion, the Citarasa Ramadhan, to boost sales by 10 per cent during the fasting month. By Salbiah Said KUALA LUMPUR, June 12 (Bernama) -- Riding on the 'Never Say Die' spirit, Tourism and Culture Minister Datuk Seri Nazri Aziz says Malaysia is well-positioned to attract more tourists this year. KUALA LUMPUR, June 10 (Bernama) -- University of Malaya (UM) continues its steady rise in Asia when it rose three places to 29th place in the QS University Rankings Asia 2015. 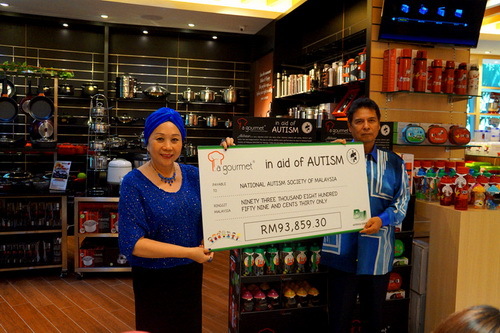 By Mardhiah Munir KUALA LUMPUR, June 9 (Bernama) -- The National Autism Society of Malaysia (NASOM), managed to raise over RM130,000 to kickstart its Skill Development Fund through the sales of 'Art Speaks for Me' sketches on La gourmet 'Pack to Go' products. 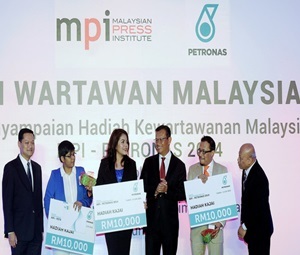 KUALA LUMPUR, June 8 (Bernama) -- New Straits Times journalists, Haris Hussin, Farrah Naz Karim and Aliza Shah Muhammad Shah were crowned the winners of the Kajai Award at the 2014 Petronas-MPI Malaysian Journalism Award in conjunction with the 2015 Malaysian Journalism Night here, tonight. 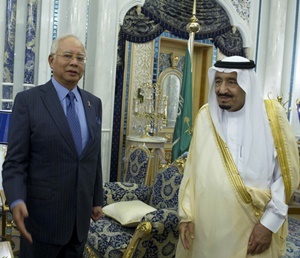 KUALA LUMPUR, June 7 (Bernama) -- Despite his busy schedule and packed programme in his visit to Saudi Arabia, Prime Minister Najib Tun Razak is closely following developments in the aftermath of the earthquake which hit Ranau, Sabah on Friday.